I seriously can't stop using tea puns. I kind of apologize to everyone (mainly those who may follow me on Insta), but not really. 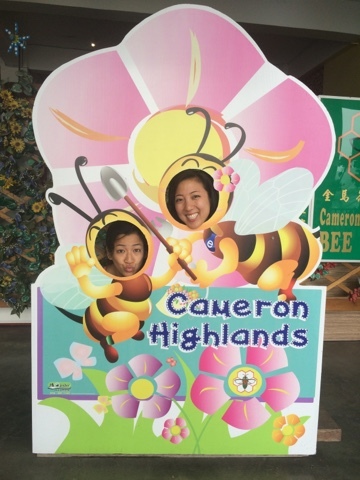 Anyhow, I'm in the Cameron Highlands in Malaysia! 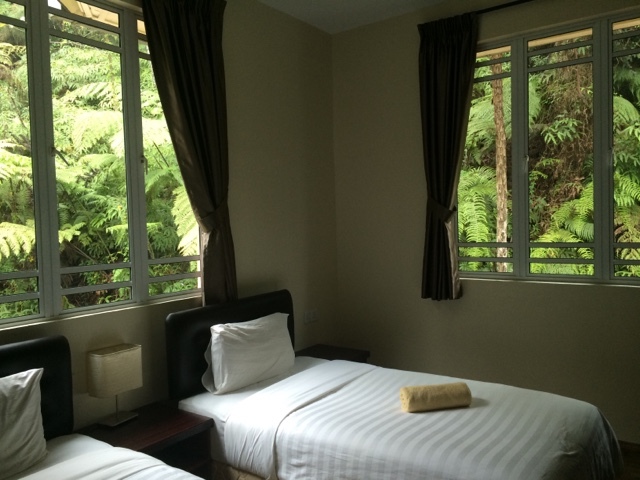 It's a beautiful, jungle-y, cool respite from the rest of Malaysia (which is basically an oven most of the time). 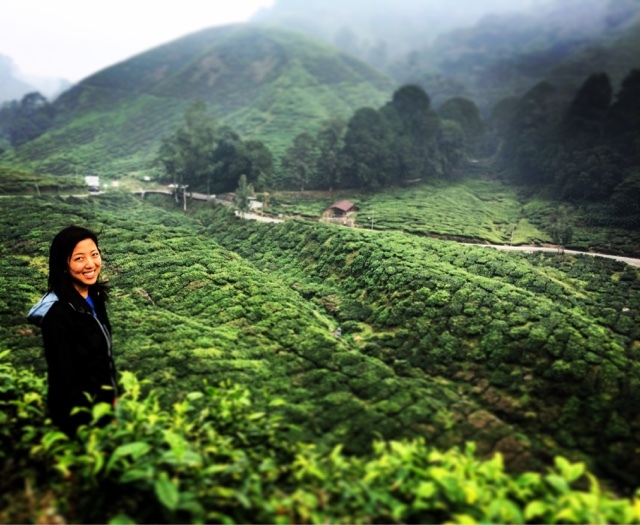 Cameron Highlands tea plantation - over 3,600 acres! It is gorgeous, peaceful, and cool here (I'm actually wearing pants today! PANTS) , and to be honest, it doesn't feel like we're in Malaysia anymore. 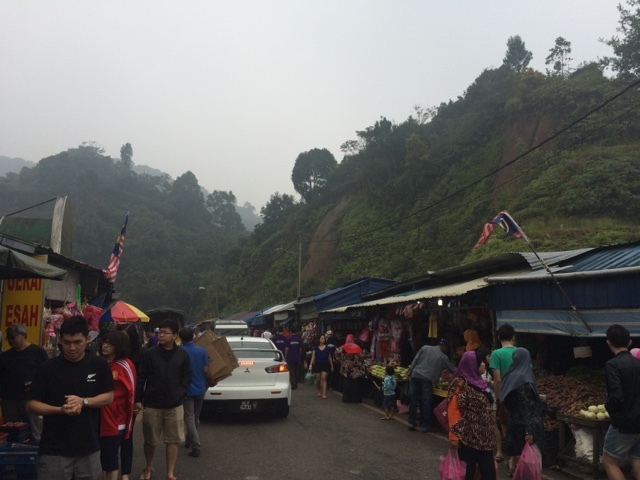 Arrived to Tanah Rata in the early evening by bus, and promptly went exploring. Squeee how gorgeous and jungle-y is this room!? 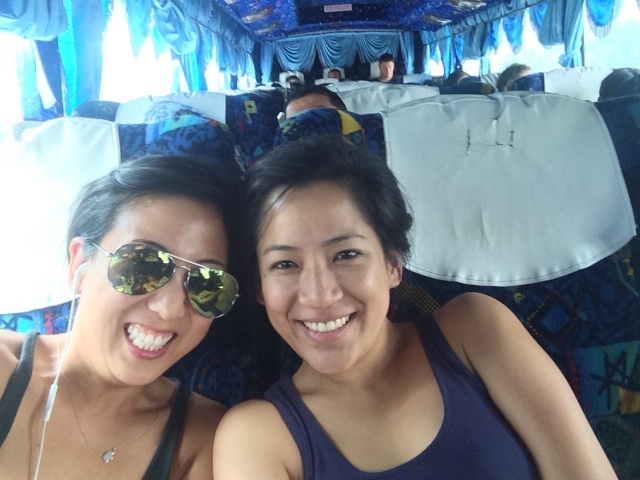 Kat and I started off the next day by doing a tour of the Cameron Highlands' highlights. 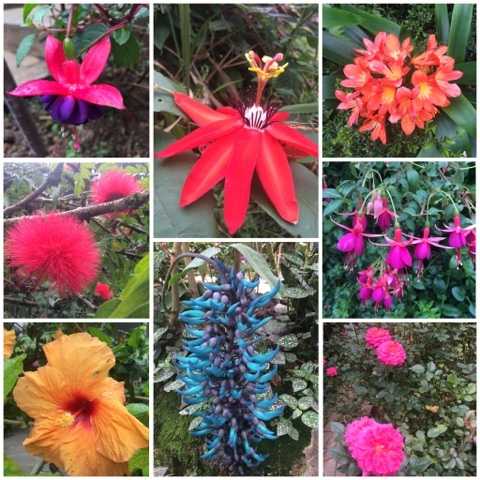 Our stops included a butterfly farm, a bee/honey farm, a tea plantation, a flower farm, a strawberry farm (FAVORITE), a local market, and a temple. The butterfly farm also had insects. 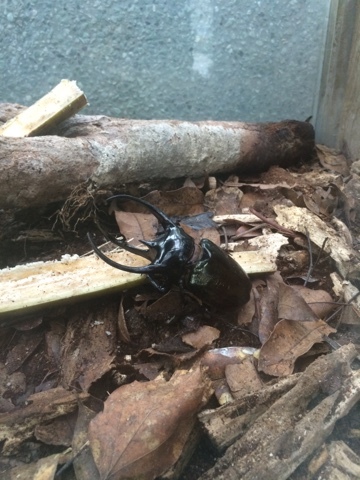 Here is a terrifying-looking beetle. The farm also had bunnies and turtles and hedgehogs, random. Stop #2; the bee farm! Next up, the bee/honey farm. This farm had 2 types of honey - one was normal and from normal bees, and the other was from a sting-less bee found in the highlands that produces much darker and very different-tasting honey. Am I allowed to say that the local stingless bee honey tasted....super Asian? Like it had this sour Asian taste to it. 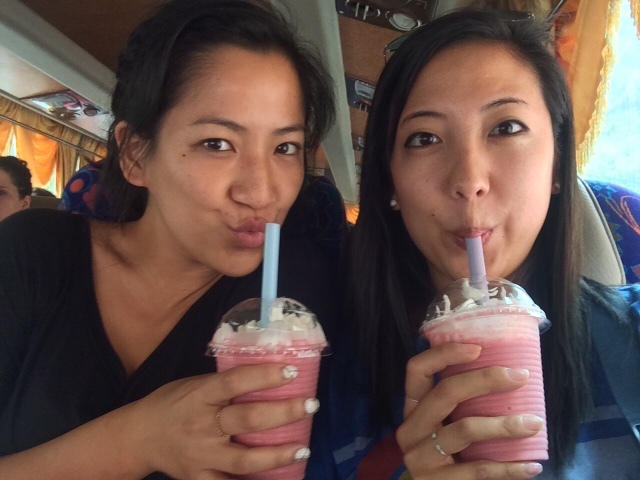 Stop #3, the tea plantation! 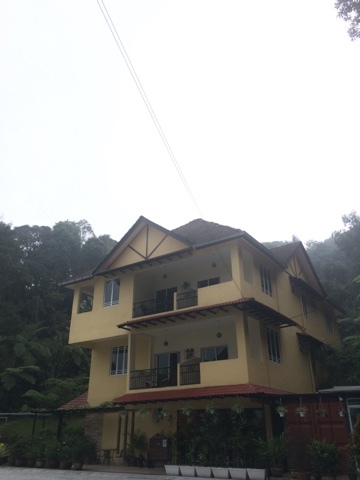 This plantation was started by a British businessman in 1929 (is this why "Cameron Highlands" sounds so British!? ), it's 3,600 acres, and they produce about 820K cups of tea per day. Do we think I could marry into this family? The tea plantations were absolutely breathtaking. But the leaves tasted like plant. Not that Kat tried to bite one or anything. 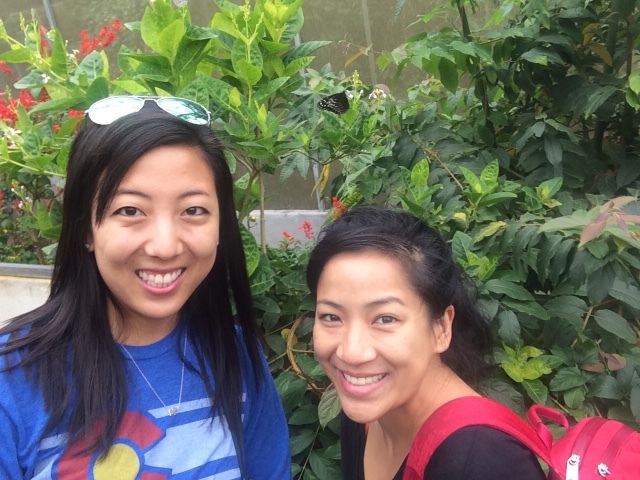 Stop 4, the flower/rose farm! 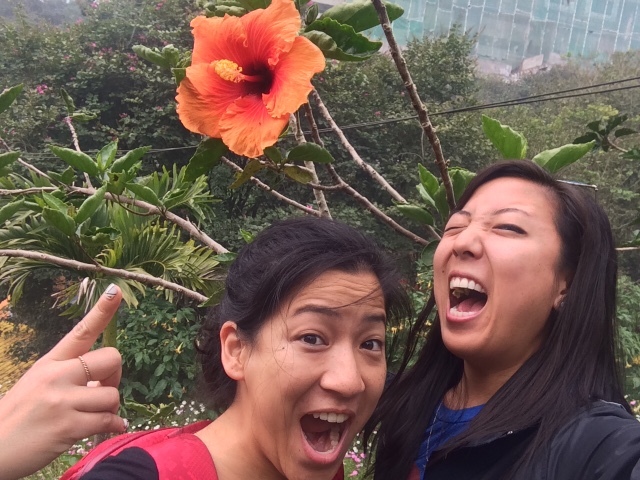 And the hibiscus were the size of our heads! 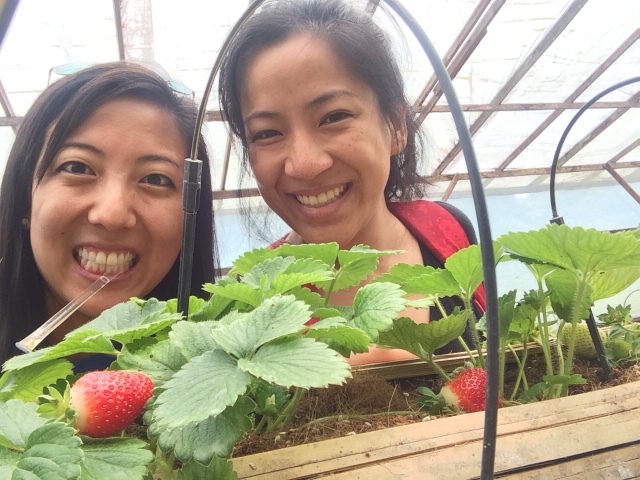 Stop #5, the strawberry farm! 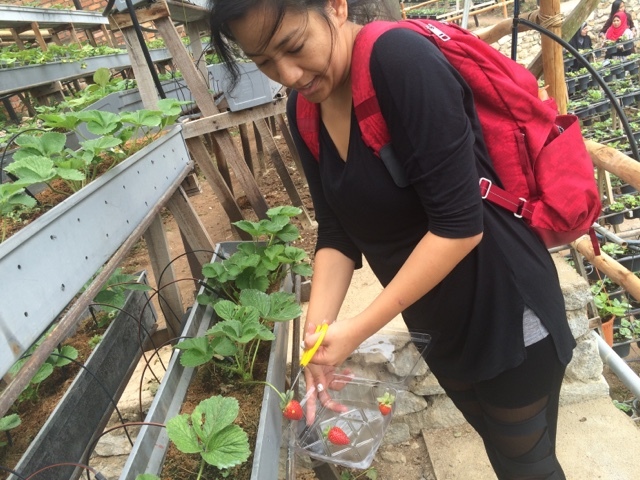 And you can pick as many strawberries as you want! Stop #6, the local market! 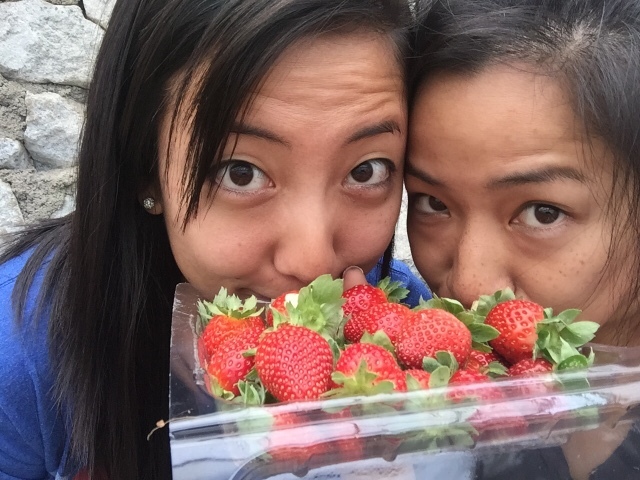 Seriously, these people will sell any goods with a strawberry printed on it. 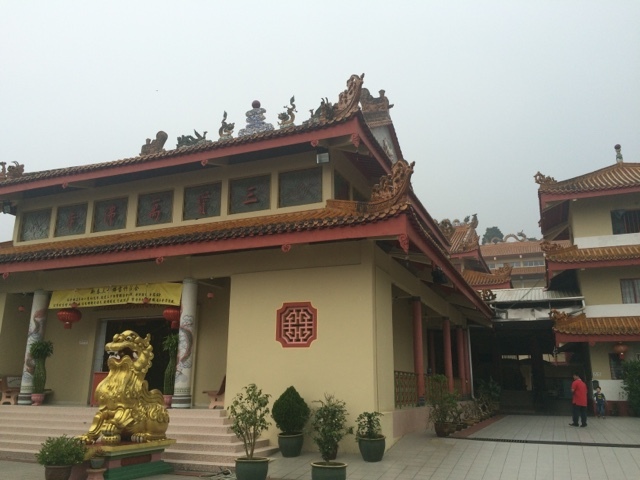 Last stop was a Chinese temple. Meh. 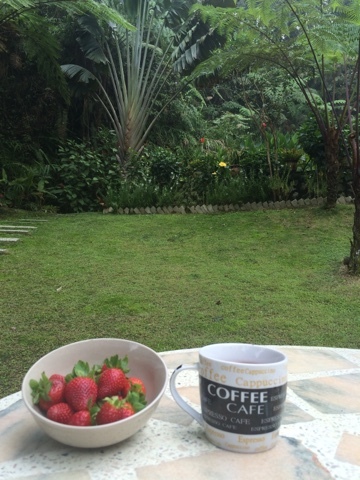 Back at the hotel, Kat and I took our new strawberry hoard out to the hotel's rainforest-y garden and drank tea, ate strawberries, and journaled/read/internet-ed. 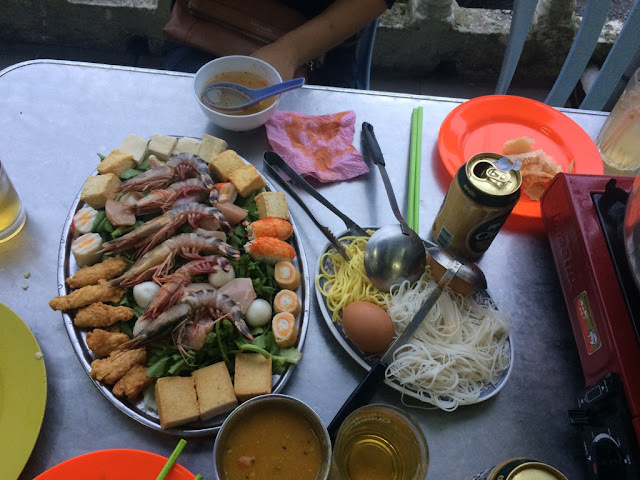 One of the more well-known kinds of food concepts in the highlands is hotpot - or as they call it here, steamboat. In case you're not familiar with hotpot, it's one of my fave things ever in Chinese cuisine - you have a giant pot filled with broth over a mini stove, and then you get trays of veggies, meats, fish, noodles (really, whatever you want) to cook in the broth. After they've cooked through, you can dunk them in sauce, and voila! Deliciousness. We may or may not have eaten steamboat for dinner both nights. Our steampot! There were two broth flavors - Tom Yum (spicy) and regular chicken broth. Also, I ate a raw egg and I hope I don't die. Also, I think this entire meal was under $5/person. 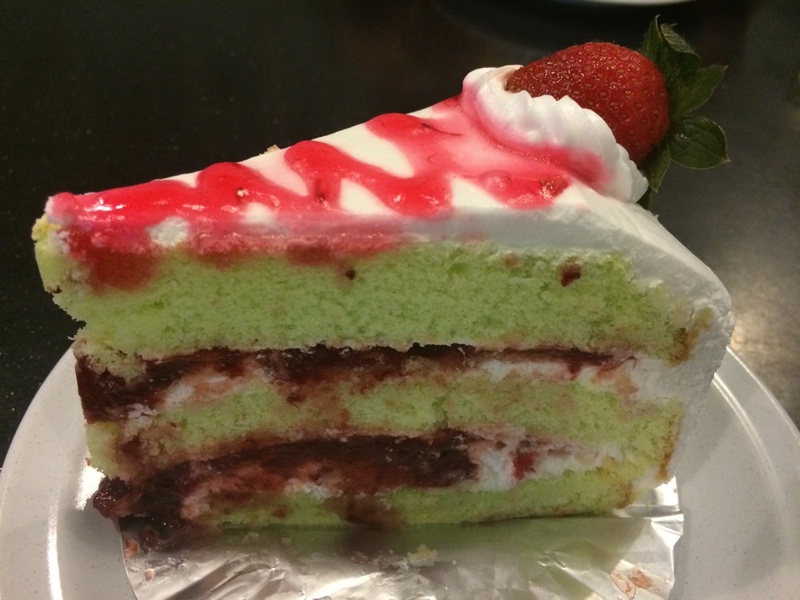 The first night, we discovered a local cake cafe, where I took down a slice of strawberry cake (so light! so fluffy!) and a pot of strawberry tea. So we maybe repeated the exact same thing on night #2 as well. 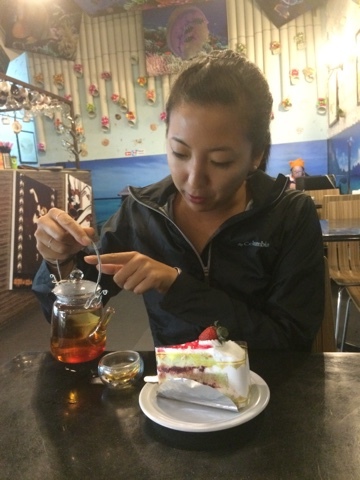 Strawberry cake and tea. I could eat in theme for the rest of my life.